Custom Audio Settings for A Personalized Experience: Every Mac is personal and contains its owner’s personality all over it. Boom 2 customizes the sound output according to YOUR Mac. It tailors the audio so that it sounds brilliant just like you. 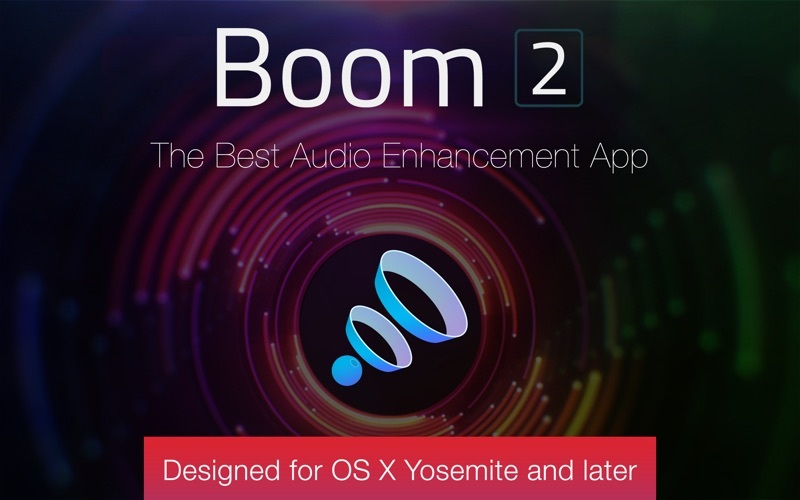 Powerful System-Wide Volume Boosting: Boom 2 takes a measured approach to intelligently make everything coming out of your Mac’s speakers sound louder, clearer and better. 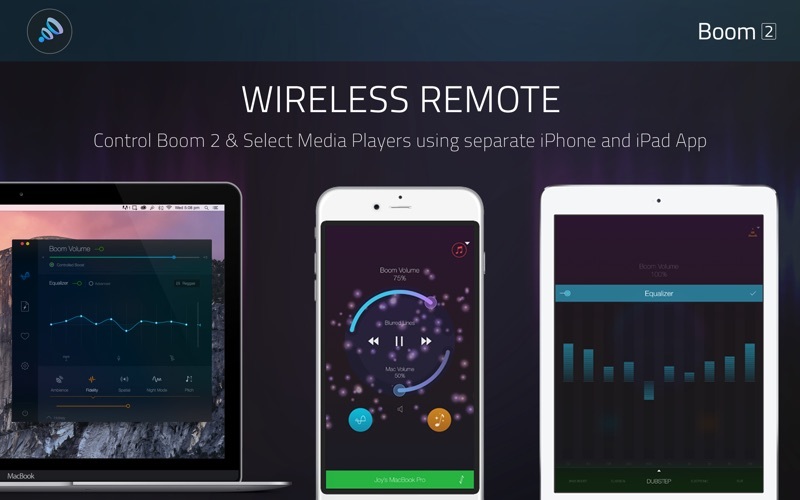 You get to enjoy Spotify, iTunes, Netflix, YouTube and any other service like never before with Boom 2 making them come alive! Precise & Advanced Equalizer Controls: Boom 2 takes it up a notch by giving you custom audio for every beat or bar that you hear. With a range of equalizer presets, choice between 10-band and advanced equalizers and additional Frequency Constrain controls, you can go all-out! Presets and Custom Equalizers: Boom 2 gives you the freedom to choose from presets like Bass Boost, Acoustic, Pop, Treble etc. or to create your own ones. 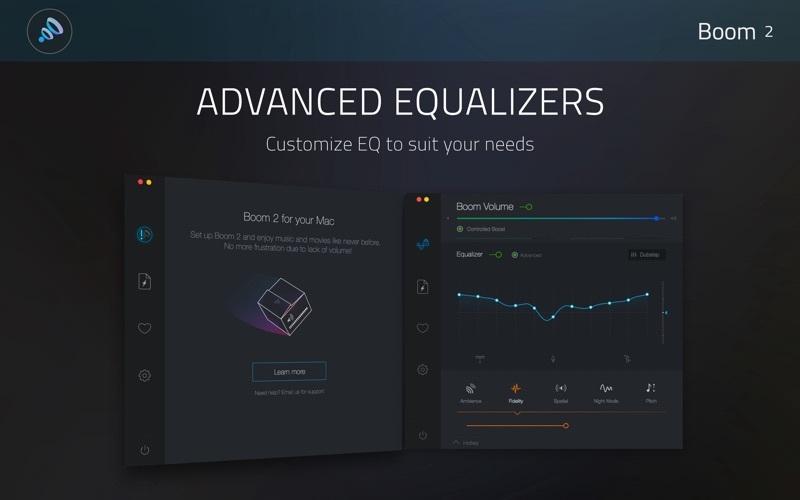 Finer Equalizer Control: Boom 2 offers a range options for you to play around with in order to make your Mac’s audio sound brilliant. You can change any band or use the powerful Frequency Constrain feature to tweak every last bit out of the audio. Enhanced Audio Quality with Cool One-Click Audio Effects: With just a click, these effects deliver an acoustic experience akin to actually being there when playing. Ambience Be alive and feel the music around you with Ambience. Hear notes from every single angle and corner, making it a live performance like no other. Fidelity Be here, there and everywhere with Fidelity. Listen to crisp and sharp tones while being surprised at how clear your Mac sounds! 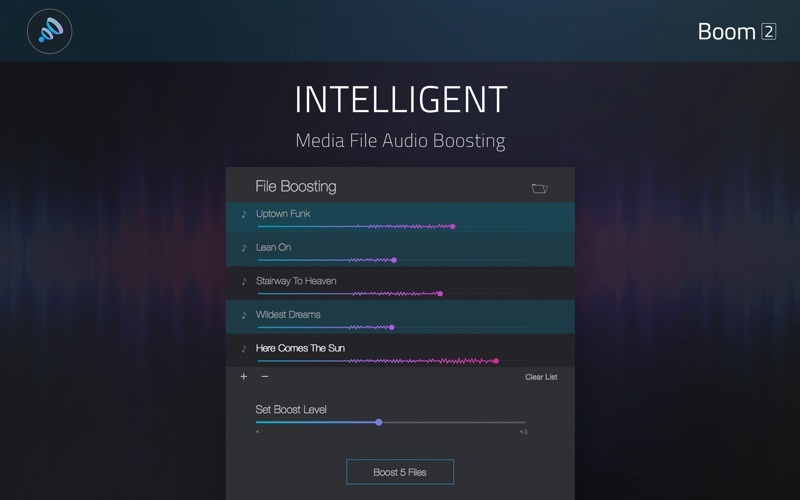 Intelligent File Audio Boosting: Boom 2 can make media files sound much more louder and clearer for consumption elsewhere. It allows you to boost the volume & experience Boomin’ audio on other devices like Mobiles, MP3 Players, iTunes Sync and much more. It also intelligently recommends an optimal level to boost it up to! Fixed the issue of no audio on disconnecting the TypeC connector. Fixed the issue wherein another EQ Preset was shown as selected rather than the actual one.